A fun fact about Adam Donovan-Groves? As a child, he attended Astronaut High School near the Kennedy Space Center in Florida. It’s not what you think—kids here aren’t preparing for space travel—but it might explain his meteoric rise in the local wedding planning industry. 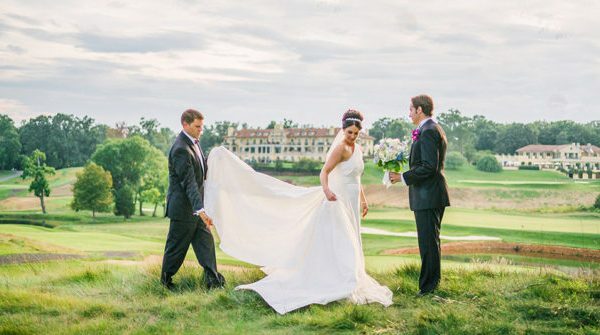 Having been in business for just over four years (with a background in event planning at Keswick Hall), DGE has offices in Georgetown and New York, as well as Charlottesville, and serves couples all over the globe. Orpha Events’ Marisa Vrooman takes the No. 2 spot for her stunning work in everything from destination weddings to nonprofit events. 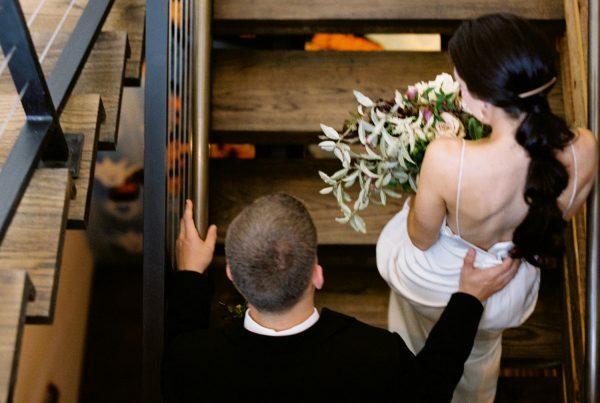 Having already been in the wedding industry for nearly two decades as a planner, it seemed a natural fit that Lynn Easton and her husband, Dean Andrews, would open their own venue. Of course, as with everything under the Easton Porter Group umbrella, Pippin is part of a luxury brand—and you get what you pay for. A big day here doesn’t come without a hefty price tag, but readers agree it’s worth it for the barn-inspired reception space, rolling landscape, expert catering and practically everywhere you look, the high touch details Easton is known for. In Crozet, King Family offers couples a versatile space and, most importantly, its award-winning wines (see Best Local Winery). When Old Metropolitan Hall opened its door in 2013, affianced couples in Charlottesville and beyond were swooning for its mirrored back wall, sparkly chandeliers and cellar bar, carved from the building’s basement and transformed into an intimate space with black and white tile floors, built-in benches and a mirror displaying the venue’s name in vintage type. But the deal got even sweeter in 2017, when the Downtown Mall venue partnered with neighbor Brasserie Saison to provide in-house catering. Over in Belmont, The Local offers charming ambience and a Southern menu worth dishing over. Thanks to Instagram, these days practically everyone and their mother thinks he can be a photographer. Until, that is, you see work from a pro, someone who has studied and honed the craft for decades and makes you realize it takes more than the Valencia filter to create a good picture—someone like Jen Fariello, who after 22 years in the business continues to churn out beautiful portraits of local couples, whether it’s an engagement session in a downpour or a post-wedding stroll across the Lawn. Fellow UVA grad Sarah Cramer Shields lends an expert eye toward capturing the most important moments of your big day. We open with a drone shot over the vines of Keswick Vineyards. We see a fountain bubbling with clear water. We watch a child hurriedly scatter petals down the aisle. For four years in a row, readers have agreed that Ian’s Creations’ Ian Atkins captures the details that often go overlooked and presents them in—for lack of a better term —a cinematic moving picture of your most special day. In second place, Tom Daly weaves ninja-like through the crowds to catch your favorite moments (and then some) from start to finish. When we talk about personalizing a wedding, usually that means koozies customized with the couple’s name and wedding date, or a guest book with pictures from their travels for friends and family to sign. But there are other ways to add your stamp to the big day, starting with food. Harvest Moon, readers say, check all the boxes on requests for specialized menus (vegetarian, vegan, gluten-free), and embrace creative challenges like incorporating family recipes. Don’t expect any vegan options from BBQ Exchange’s catering arm (unless you count the homemade pickles)—though the Gordonsville spot’s slow-roasted pork may be worth a carnivorous switch. There are two requirements of a big-day bouquet: that it be beautiful and that it last long. Readers agree Hedge delivers on both, creating dreamy arrangements—for centerpieces, aisle décor, wedding arches and the bridal bouquet —that still look fresh after hours of photographs, sitting in direct sunlight and the traditional bouquet toss. Southern Blooms’ 30+ years in the biz means the Madison company never disappoints, crafting works of art from garden-style flowers, fruits and vines. The first and only wedding director that Keswick’s Grace Episcopal has had since opening in 1855, Proffitt serves as a guide for the betrothed and their families, meeting with them ahead of time, ordering and arranging flowers for the altar and helping them line up in the Parish Hall before the ceremony. Proffitt attends the wedding rehearsals as well as the ceremonies, and Smith says she provides a crucial calming influence. “Especially at weddings, where people can be a little worked up, she is very thoughtful about how to help,” he says. C&O has steak Chinoise, Continental Divide has margaritas, Bodo’s has the deli egg—if there’sone “dish” Albemarle Baking Company is known for, it has to be the princess cake. Layers of moist vanilla sponge cake and Bavarian buttercream, blanketed with a sheet of sugary, almondy marzipan and topped with a pink rosette. There’s almost no other choice when it comes to a wedding day confection, though the West Main Street bakery can create just about anything you dream up. For a more traditional take, runner-up Chandler’s Bakery whips up layers from German chocolate to banana nut. It might be a dangerous game, mixing business with pleasure, but it’s worked for Sam Hill founder Hank Wells since 1995, when a hobby of booking bands for everything from fraternity events to corporate functions turned into a successful company that connects live performers with audiences across the U.S. In second place, acoustic-roots-meets-’80s-pop band Love Canon, who readers say always get their toes a-tappin’. If you like Michael Jackson, Kevin Graham is your guy. Not to say that he won’t play today’s top hits at your reception, too (see Best Local Radio Personality), but MJ is overwhelmingly his favorite. He’s even admitted to owning a cardboard cut-out (or two) of the King of Pop. We can’t confirm that Graham won’t bring one to the wedding, but at least you won’t have to pay for an extra plate. Runner-up John Garland has a music library of more than 30,000 songs at his fingertips, all of which are ready to keep your party bumpin’. There’s something so charming about employing a group of high schoolers to perform at your reception, but make no mistake: These aren’t your regular high schoolers. By the time they’re rising seniors—like the kids in Chestnut Oak, one of the quartets in the current CHS string ensemble —many of them have already performed in world-class venues such as the Chartres Cathedral in France or St. Mary’s Church in Killarney, Ireland. In other words, they’re practically pros. In the runner-up spot, alt-rock guitarist Travis Elliott delivers on a less traditional start to your big day. “We got married by the mayor,” some couples can say. Of course, Dave Norris hasn’t been Charlottesville’s mayor since 2011, but the qualities that got him the job aren’t lost on those looking to say “I do” in Charlottesville. Norris is happy to work toward a ceremony you feel good about, whether traditional or more personalized. Runner-up Claire Frances will do the same. As an ordained interfaith minister, she relishes customizing a ceremony to your unique specifications, which she’s been doing since 2004 for more than 900 weddings. Often said to be the first taste your guests get of the wedding to come—and whether it’s formal, casual or a little quirky—the invitations play a pretty important role in setting the tone. But not only that, the experts at Rock Paper Scissors help dream up the entire paper suite, from programs to signage, sometimes even with custom art from co-owner and designer Dani Antol. Readers turn to T&N for affordable printing (hey, all that paper don’t come cheap!) and the kind of friendly service only a family-run business can provide. Buying your wedding jewelry—be it the engagement ring, wedding band or earrings for the bride on her big day—is serious business and, in many cases, a serious investment. And that’s exactly how Andrew Minton and his team treat it when you walk in the door, taking the time to explain cut, color, clarity and cost for novice diamond-buyers. And if you’re interested in an heirloom, they also repair and restring pearl jewelry, so Nana’s necklace can be your something old. Over at Fink’s, find name brands like David Yurman, Forevermark and even Rolex, while Schwarzschild offers everything from rings and necklaces to men’s watches. When you picture your special day, you think dress, food, invitations—not necessarily a spotlight in the shape of your initials or a crystal chandelier descending over a table. But lighting may be the unsung hero of your reception, adding intimacy or glamour. Again this year, readers say Blue Ridge—which specializes not only in accents like pin spots, LEDs and logo lights but also digital recording and video services—lights up their life. Nabbing the red ribbon, MS Events takes its usual décor offerings to the next level, with bistro lighting, uplights, pipe and drape and more. What couple wouldn’t want their wedding to be a work of art? Now the day can literally be one with live-event artist Tatiana Yavorska- Antrobius, who paints the happy occasion as it is happening. For Yavorska-Antrobius, what started as a favor for a friend turned into a business. “I’m bookedall summer,” she says. She’s certainly got the artistic background. At 11 years old, the Ukrainian-born painter studied at the National Art School for Gifted Children. “It was intense,” she says. She continued her studies, which include theater and architectural design, at the National Academy of Arts in Kiev and got her master’s at the Russian Academy of Art in St. Petersburg. It was sketching her daughter horseback riding that captured the attention of other parents, who wanted drawings of their own offspring. And as many moving parts as there are to a wedding, Yavorska-Antrobius says it’s a lot easier than drawing a horse race. The key, she says, is to interview her clients to find out what style they prefer and what they want her to focus on, whether it’s the golden retriever carrying the ring, or the view at King Family Vineyards or sketches of the guests. That can add up to “hundreds of emails,” she says. She makes sure her clients understand the painting is not going to be a photographic image. “If the composition is not good, the art loses its value,” she explains. But that’s the beauty of having an artist do the composition—she can add or take away. Such personal detail in capturing the moment costs $150 an hour on average and can range from $500 to $5,000, depending on the style and materials. Watercolor fades in about 25 years, she says, while oils change over 100 years. And she’s learned that men typically want a portrait of the bride to capture her in a piece of art. While the local wedding industry is booming, it’s a wonder there aren’t more local options for wedding attire. No matter, say brides. SWAK has just what they’re looking for, from simple silhouettes to intricate beading and, since launching an in-house design arm earlier in 2018, custom pieces. Store owner Susan Sorbello launched Sorbello Couture, putting her fashion design background to good use creating one-of-a-kind pieces. 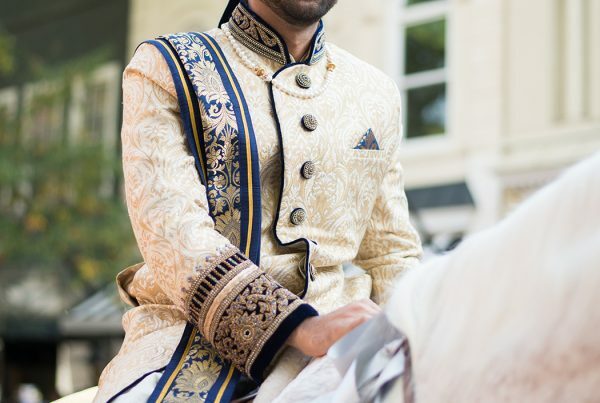 Speaking of custom, Ayvazyan & de Beauvoir helps you dream big, with stunning designs for brides looking for a unique work of art. In Fishersville, Amanda’s Touch stocks a reasonably priced selection of gowns for brides and ’maids. You, but better. That should always be the goal when you (or your mom or your eight bridesmaids) sit in the hair chair on your big day and that’s what readers agree they get when Erica Haskins is at the brush. Be they classic chignons or cascades of curls down your back, the Top Knot owner’s creations capture the mood and beauty of the bride who wears them (and they stay put for hours on end, as if by magic). Brianna Adams, in second place, delivers on soft, romantic updos. We’re not saying a turn in the makeup chair is the reason to get married, but your big day is certainly a perfect excuse to be treated like a Kardashian (hey, those ladies know from weddings). At the expert hand of Evonne Burns, who’s been in the business more than 25 years, you’ll be ready for your close-up. Runner-up Daphne Latham, whose credentials also include powdering the faces of Dave Matthews and Howie Long (among others), strengthens your star power. The new trend in late-night treats for guests—a donut truck, milk and cookies, even McDonald’s hamburgers (we’ve seen it first-hand) —capitalizes on a universal truth: After a few drinks, it’s time for a snack. Savvy couples kill two birds with one stone by sending guests back to the hotel with a take-home treat and, again this year, they agree there’s no better option than a two- pack of local sweets from sweetheart Gearharts chocolates. At The Virginia Shop, find more edibles, from peanuts to popcorn, plus touristy trinkets from the Commonwealth. It’s for lovers, after all. Whether you’re pulling away from the rollicking landscape of Pippin Hill or the Corinthian columns of Keswick Vineyards, hopping in the old Toyota Corolla might take a bit of magic out of the moment, especially when the other details of your wedding—the custom foil invitations, the personalized cake topper—were so intentional. Enter Albemarle Limousine, who since 2008 has kept couples riding in style, in everything from a vintage Fleetwood Cadillac to a 1946 Marc IV Jaguar. Runner-up Hop on Tours is a solution for pre-wedding celebrations: Gather your wedding party and board the 14-passenger bus for customized rides to breweries, wineries and then some. They’re not just for rain, you know. A beautiful Sperry tent from Skyline—those carnival-y sailcloth toppers with pennant flags flying—can actually steal the show (sorry, lovers). The Charlottesville and Charleston, South Carolina, company has been erecting shelters for more than 15 years at corporate events, festivals and, of course, weddings, be they vinyl, sailcloth or even harder structures with a glass ceiling. Of course, once the tent’s up, you’ll need a few things to fill it. Readers turn to MS Events for everything from chargers and china to linens and lounge furniture.